KTM’s American road-racing star talks AMA Superbike, RC8s, going international and always being on the ‘go’. 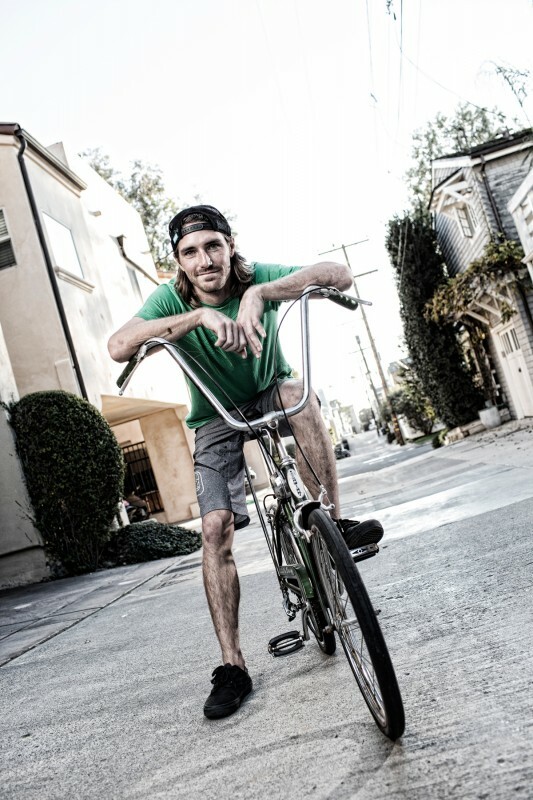 AMA Superbike racer Chris Fillmore comes across as an unflappable kind of guy. Today we’re doing our best to rustle the cool veneer of the 28 year old. Something of a popular name in the motorcycle racing community (he can be found motocrossing with MotoGP stars, mountain-biking with AMA Supercross Champions or teaching people like Ryan Villopoto to surf) Chris is a little uncomfortable about being asked to dangle upside down from a rock on Newport beach … as a gaggle of watching high school kids wonder what on earth is happening. Fillmore nails the poses for photographer Ray Archer and over the course of a day getting to know the RC8 pilot it is hard to imagine the Michigan-born athlete being unable to take anything in his stride. Fillmore has become known to the motorcycle racing community not only as KTM’s steadfast developer of the RC8 superbike in the turbulent AMA competition but also through video series schemes like ‘Following Fillmore’ (two years and two season on with the rider an articulate and capable persona in front of the camera) and those professional model ‘looks’ which means he is a photographed face for the likes of Alpinestars. On the track and over the course of four seasons he has helped hone the RC8’s fierce idiosyncrasies – with the help of the HMC team – to become a podium challenger in American Superbike. 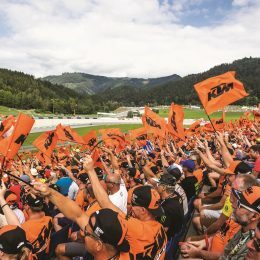 With KTM excitingly heading into MotoGP in the next two years Fillmore’s work, position and credence within the factory could have extra relevance. Who else has better knowledge of the limits of the company’s big bore tarmac racing efforts? However it would be hasty to suggest that he is at a crossroads. HMC still have a job to do with the RC8 even though it would appear its days are numbered if the MotoGP project leads into a new sport ‘Beast’ to sit alongside the splendid KTM 1290 SUPER DUKE R in their street collection. There is also the subject of AMA Superbike itself; a series that appears to be pulling itself out of the quicksand thanks to the rope created by the Wayne Rainey-fronted MotoAmerica. 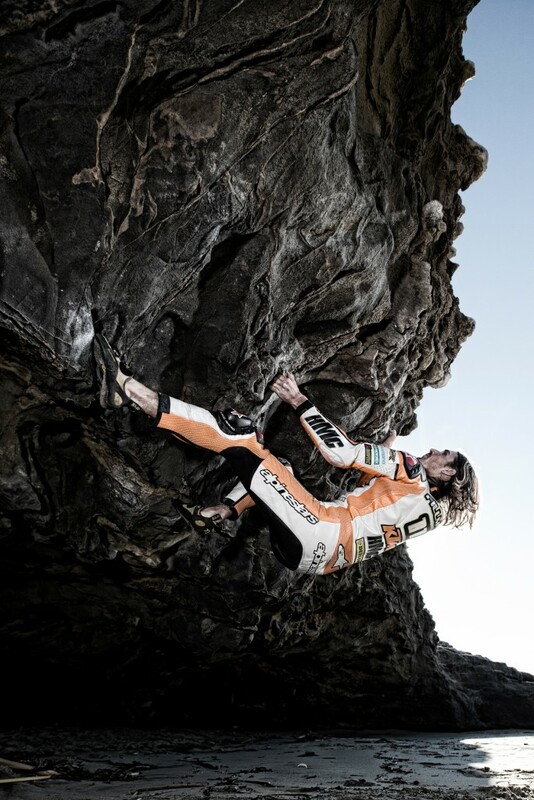 Fillmore – along with the likes of stunt rider Aaron Colton – have become ambassadors for KTM on the asphalt. The motocross and supercross spheres helped KTM North America post a unit volume increase of 30% in the first six months of 2014 but the division in Murrieta, California is also barrelling ahead with the Street market and the positive responses to the DUKE and ADVENTURE. We chat firstly in the noisy coffee shop confines of Deus Ex Machina on Venice Boulevard and mainly about Fillmore’s adventure at Barber Motorsports Park with a café racer-inspired 690 DUKE created by revered designer Michael Woolaway. ‘11’ is humble, helpful, open and a pleasure to talk with. 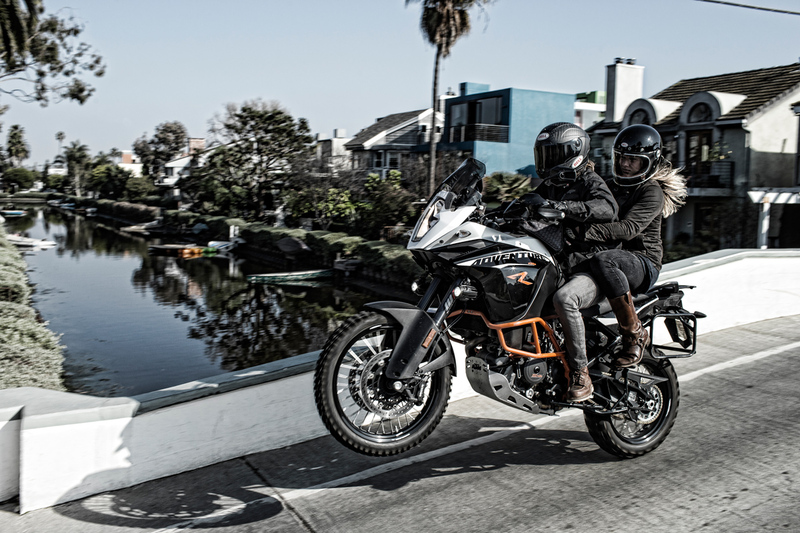 He then starts up his 1190 ADVENTURE R and with girlfriend Jacqueline on the back tackles the bridges crossing the Venice canals like he is asked to tie a shoelace. We then meet again at his shared apartment in Newport Beach where we dissect the demise of AMA Superbike (“As soon as I got in I pulled my Dad aside and said “this kinda feels like [the end] of Supermoto”. It was eerie. Everybody was bad-mouthing in the pits.”) and the chances of ever breaking onto the international scene (“Honestly, I don’t know how to get there …”). 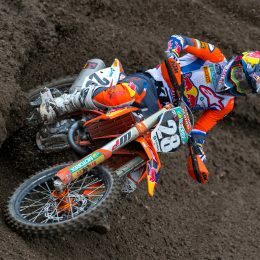 Chris Fillmore and KTM. Bring us up to date. How did you end up road racing for the Austrians? Were you initially sceptical? Could an offroad firm make a good superbike? Did the KTM Superbike programme raise eyebrows? The RC8 obviously developed over the seasons. You’ve ridden Japanese machinery so did it keep its character? And you’ve kept on the track … even through some very hard days for AMA Superbike? So what about going international? KTM have obviously mastered Moto3, they have the 390 Cup series and now MotoGP is coming up. Could you have some input there? 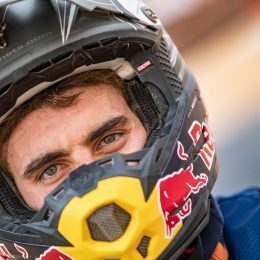 You seem like a guy who doesn’t sit still for five minutes; whether you’re mountain biking, rock climbing or off-roading … it appears you have a pretty good lifestyle? I have watched the Pikes Peak video clip several times and still in awe. I am not a road racer but it looked as though Chris was right on for so much of the course with little practice and surprising rough surface. Simply an immense amount of courage and talent. Congrats to KTM and Chris on this achievement.